The story behind 1925’s The Phantom of the Opera is as ugly and elusive as the character himself. The man behind the film’s latest incarnation delves into its legacy. PLUS: Carla Laemmle, the last surviving cast member of the original Phantom, recalls the making of a masterpiece, and composer Gabriel Thibaudeau looks back on more than twenty years of performing his acclaimed live score. 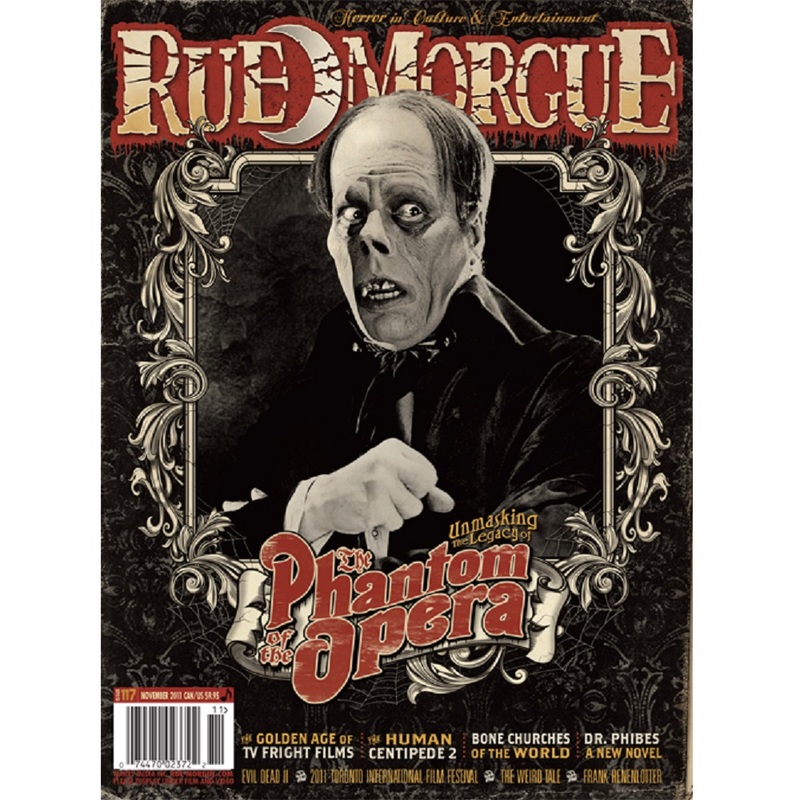 Rue Morgue tunes into an era when high-quality, original horror movies were a staple of prime-time television. PLUS: Ten unlikely shows that have flirted with the dark side. Spotlight: Weird fiction publisher Chomu Press. Library of the Damned has the True Blood blues. Plus, reviews of Monsters in America: Our Historical Obsession with the Hideous and the Haunting, How to Draw Chiller Monsters, Werewolves, Vampires, and Zombies, Robert Kirkman and Jay Bonansinga’s The Walking Dead: Rise of the Governor, Ronald Malfi’s Floating Staircase, John Hornor Jacob’s Southern Gods, Death Casket: Art of Unkle Pigors, The Ghost Handbook: An Essential Guide to Ghosts, Spirits, and Spectres, and Kenneth Hite’s Cliffourd the Big Red God. Fiesta de las Natitas – La Paz, Bolivia. Featuring the return of Anthrax. The Blood Spattered Guide on Sopor Aeternus. 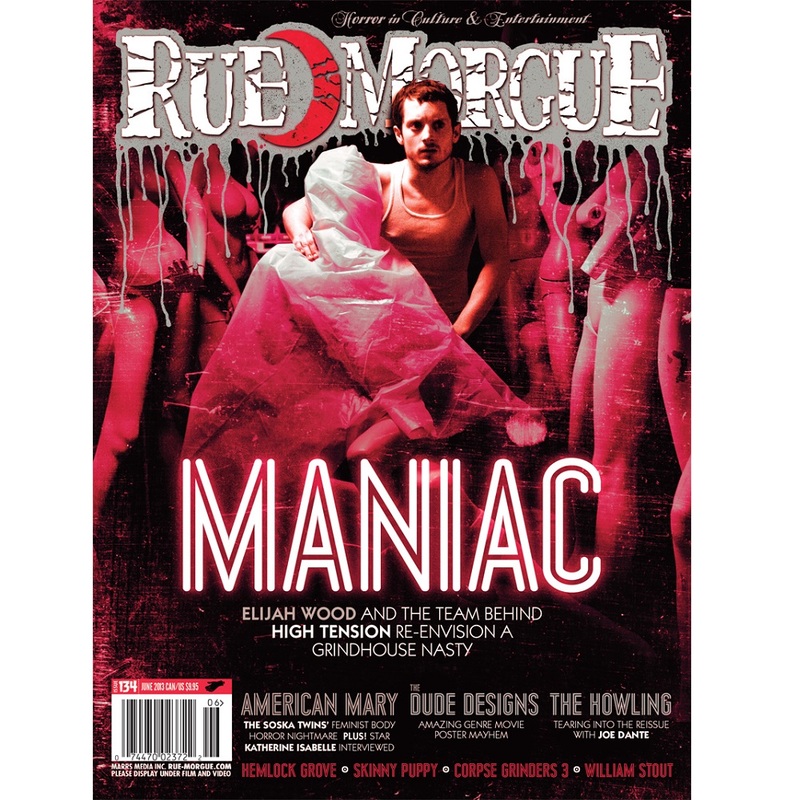 Plus, reviews of Super 8 OST, Final Destination 5 OST, Koffin Kats/12 Step Rebels, The Phantom Creeps, Fantomas, Zombie Inc., Mr. Death, The House of Capricorn, and Blood Red Throne. 15 new subscribers will win a Tales from Beyond the Pale season one box set courtesy of Glass Eye Pix!